Dragonflies (Anisoptera) are wonders of nature. Strong, agile fliers, dragonflies dart effortlessly among stems and flowers. They move easily forward and backward, suddenly change direction and even remain stationary in flight. 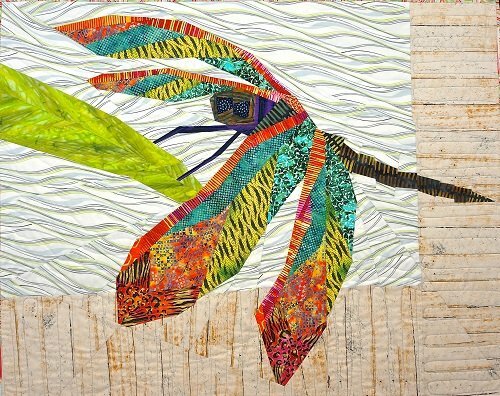 Their two pairs of wings shimmer with iridescent, metallic-like colors that have long made them a favorite of quilters. Dragonflies are found throughout the world, and in some cultures symbolize power and poise. This Artisan dragonfly pattern features this insect’s beautiful iridescent wing colors. Full sized pattern (44" x 35") and step by step instructions are included.